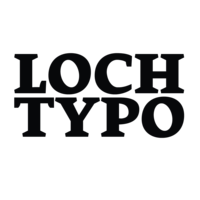 LochTypo is One-man foundry. Their main purpose is to create typefaces continuously and develop projects. The foundry is trying to innovate as best as possible and grow up with consumers.